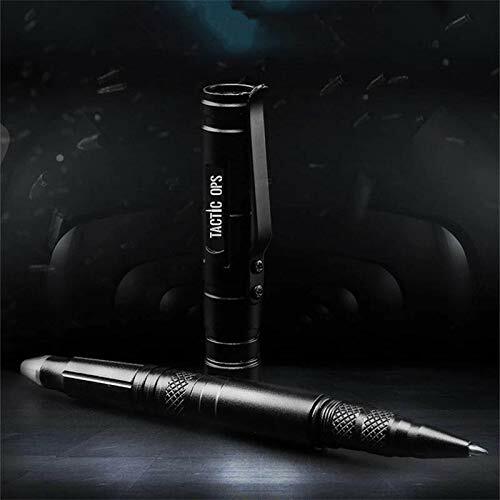 ?Rugged & Heavy Duty, This Durable Pen is Made from Machined AIRCRAFT GRADE ALUMINUM for Superior Strength. 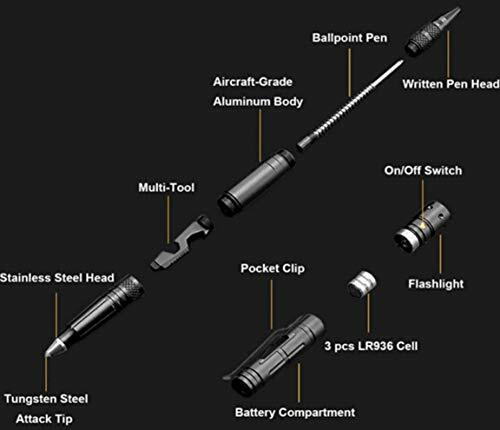 This Cool Pen Multitool is Used by Military Pilots, Navy SEALS, First Responders, SWAT, and Other Challenging Professions and Has Stood Up Well to the Rigors of Daily Use. 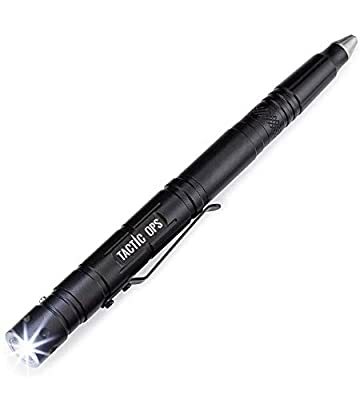 ?There are Lots of Self-Defense Products out there, but We Don't Always Remember to Carry them With Us. 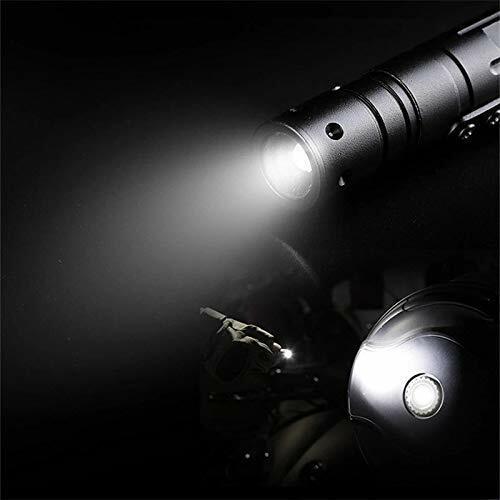 This is a Great Addition to Your Personal Survival Gear. 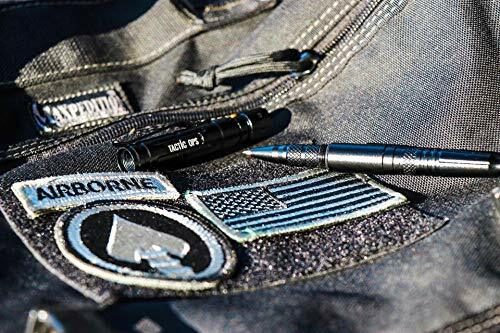 Carry in Your Pocket, Briefcase, Laptop Bag, Backpack, Purse, or Bag. ?A GREAT FATHER'S DAY GIFT! 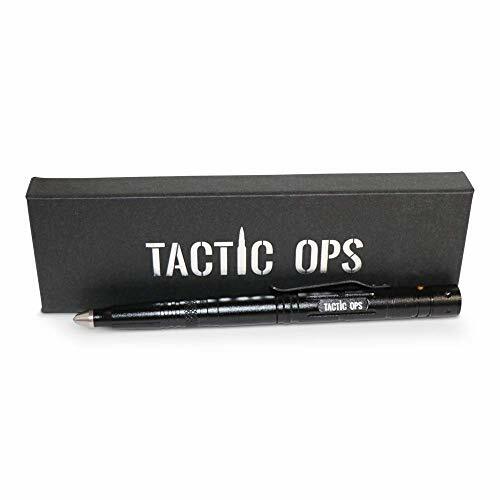 or THE PERFECT CHRISTMAS STOCKING STUFFER | Whether It's for Your Father, Step-Father, Grandpa, Or Uncle, These Tactical Pen Gift Sets are a Favorite Unique Gift. Also a Popular Gift for Your Boyfriend or Girlfriend. ?DON'T GET TRAPPED! 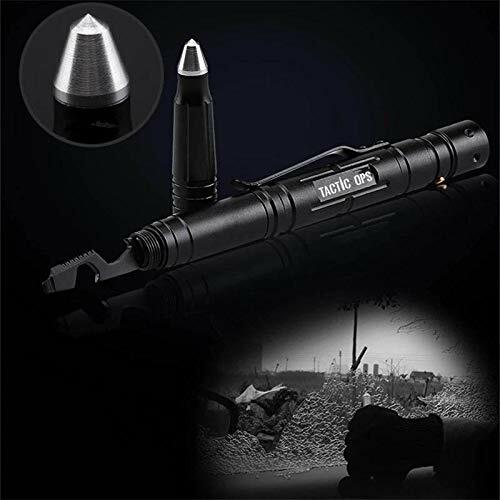 Crash Safe Emergency Tool. 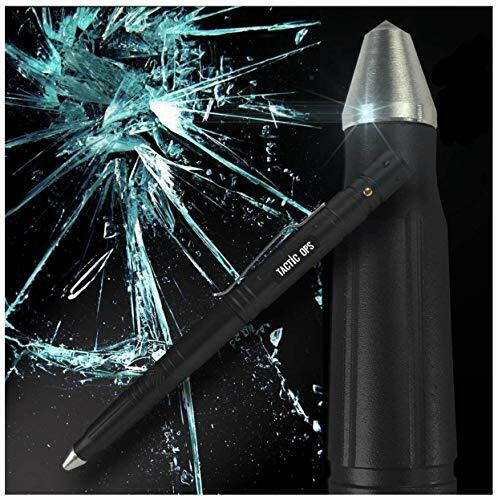 Glass Breaker Can be Utilized to Crack a Window for Escape. 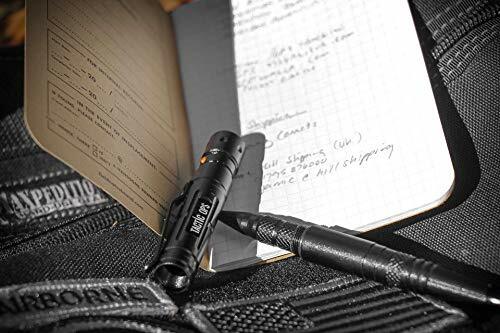 Perfect for Military, Police Officers, Emergency Responders, and Every-day Carry. 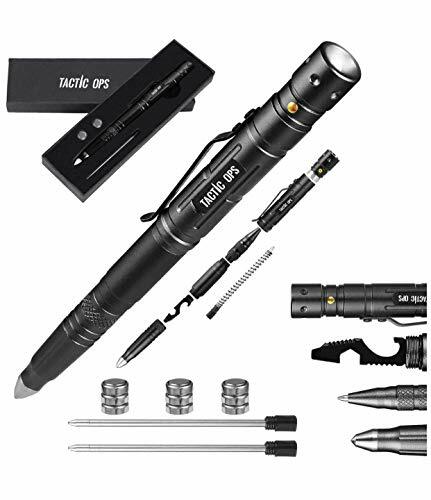 ?Package includes: 1x LED tactical pen, 3x button cell batteries, storage case and an Unlimited Lifetime Warranty.